Standard security features are essential when operating a business. You would be hard-pressed these days to find a company operating without locks on their doors and windows, an alarm system, and security cameras. Importantly, the same diligence should be directed to a company’s computer networks. Specific hardware and software firewalls are essential tools to keep malicious invaders from hacking your system and stealing sensitive information. Without effective security, your computers and other devices, and essentially your company’s lifeline, are at risk from a cyberattack. Online criminal activity takes a variety of forms, from planting malware or viruses on the system to gaining access to bank and credit card information. Firewalls are fairly easy to install and the investment is similar to insurance; it brings peace of mind for your network. 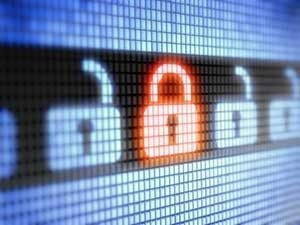 One way of protecting small business computer networks is through firewall software. Another method is to install hardware firewalls. Both methods protect users from downloading dangerous malware and prevent hackers from gaining access to personal information. But which option is best suited to your business? In order to protect the entire office, firewall software must be installed on each employee’s device. The price of the application will increase with the number of licenses required. In addition, the software must be maintained with updates and other support services. In order for this software to be most effective, users should be trained on or knowledgeable of alerts and commands that might pop up on their customized personal computers. The software might also require employees to allow or deny specific functions or requests before gaining access to the internet. There is also a risk that users will inadvertently download a Trojan horse or other online threat if they are not fully aware of what decision is safe to make. Hardware firewalls are physical components that also require software. An entire package would ideally contain a virtual private network (VPN support, antivirus, antispam, antispyware, content filtering, and all of the latest upgrades and security options). Hardware solutions are easy to maintain and do not have to be administered by each individual user. An important benefit is that one hardware firewall device will protect the entire network without needing trained responses from users. In addition, add-ons and upgrades are easily obtained as a business’s security needs expand. Your IT department should establish a complete security plan based on the needs of the company, the number of computers, and the specific distribution of administrators. Depending on the number of staff, written policies and procedures should be posted in easily visible locations and guidelines should be established for downloading software or using personal storage devices, like flash drives at work. A complete security system includes virus and malware scanners. If your business offers a free WIFI hotspot, it should also have a separate WPA security for your employee-only access to the wireless network and a separate guest wireless network with a password that changes daily. All employee devices should be accessible only through encrypted password entry and the same goes for hard drives and cloud storage. If your business does not have a dedicated IT department, consider bringing in a specialist or consultant who knows the ins and outs of security setup and maintenance services to help you with the important details. Network Security Fundamental #1: Who Will Do the Work? Decide whether you want to have an in-house managed firewall service or hire an outside IT consultant. If your business or skills are outside the realm of information technology or computer systems, you might be better off dedicating your time exclusively to your sales growth and customer service. Your company should also research cybersecurity applications and options available through the use of a cloud provider whether you want to manage your security needs inhouse or outsource all or a portion of them. Network Security Fundamental #2: There is More to it than Just the Firewall Install. Once your antivirus software is installed and working, you might think that is where your worries end. Although the software will keep your computer relatively safe from any incoming viruses and defend it against cyber attackers, it is not foolproof and it will need constant attention in the form of updates and, eventually, upgrades. Regular updates are usually released by the software company and must be installed as soon as possible to maintain the best protection.he software’s subscription also needs to be renewed before it expires. If these important steps aren’t taken the antivirus software may continue to only recognize the viruses from the date it was originally installed. Business Network Security Fundamental #3: What if Your Users Need Remote Access? Remote access allows employees to use the server from outside networks and must be configured securely to prevent unauthorized access. A specialist can change the port numbers to make remote access available for those who need it, but also limits access to only authorized users. Outbound email from other servers can also be blocked to reduce spam and the chance of downloading any viruses or malware. Business Network Security Fundamental #4: Be Password Savvy. Make sure all of your passwords are strong with unique combinations of letters, numbers, and symbols. 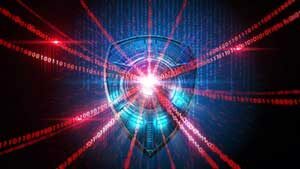 The first thing an IT security consultant will tell you is that a good password, and one that is changed often, is one of the most basic but successful ways to block hackers. An IT security specialist can ensure user permissions are established to permit only specific employees access to sensitive information. For example, the accountant at a small business does not want to grant all staff members access to employee payroll information. Although in some businesses all users may need to share the same documents, setting parameters around user permissions is an essential measure that will help prevent identity theft and enhance overall network security. Armed with this knowledge, your company will be better able to protect its network security in the dangerous world we live. In addition, IT Support companies, comfortable in all areas of cybersecurity, are available to take the stress off of business owners. Although these experts come with an additional price tag, this cost pales in comparison to what your company would face in the aftermath of a large security breach.